Aloe vera is a popular plant that has been used in skincare for thousands of years. It is packed with minerals, enzymes, antioxidants, and vitamins A, C, and E, which all work together to reinforce the skin’s barrier. Ginseng is used in skincare as an anti-aging ingredient that helps to tone and brighten the skin. The herb can boost collagen, which firms the skin and helps delay the onset of wrinkles. Ginseng also helps to counteract dryness because of its natural ability to balance oils. Rosemary has a bevy of beautiful benefits. In skincare rosemary increases blood circulation to the skin's surface, smooths the appearance of wrinkles, tones, moisturizes and can help with the treatment of scars and sun damaged skin. Chamomile is natural skin lightener, promotes a healthy glow of the skin as it heals and restores its natural moisture content. It is a hypoallergenic and helps to reduce skin irritants by neutralizing free radicals. Sea buckthorn oil is extremely nourishing and revitalizing to the skin. Sea buckthorn oil is rich in Vitamin E, Linoleic acid, Lycopene, Beta carotene and Palmitic acid. It helps repair damaged skin cells and also is a good skin nourisher which promotes healthy and glowing skin. Avocado oil is rich in fatty acids and is excellent for moisturizing the skin. In addition to vitamin E, avocado oil contains potassium, lecithin, and many other nutrients that can nourish and moisturize the skin. Hydrate your skin with important vitamins ellarium skin care product line will help you to achieve best results by refreshing, hydration and skin revival. Special Ginseng Extract Active complex provides healing and soothing effects. Aloe Vera Gel renews and oxygenates the skin. 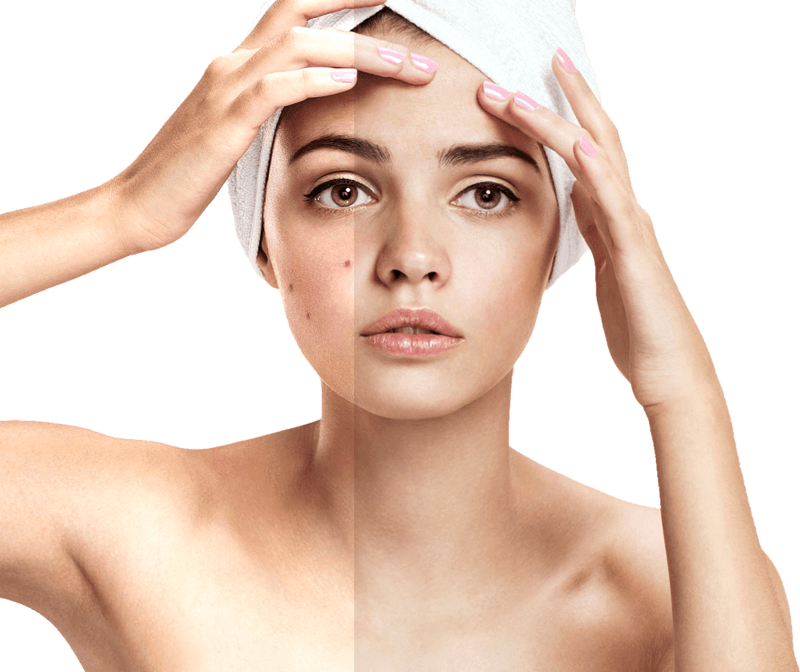 After using the ellarium products, you get immediate and long lasting results and moistened fresh skin. How often should I use the Oxymasque? The Oxymasque by Ellarium can be used 1 or 2 times a week or before a special event for the immediate result. Apply over slightly moist skin, avoiding eye area. The gel will begin to lightly bubble and a slight tingling and cooling sensation will develop. Let remain on the skin for 5 minutes. Do I need to rinse the mask off with water? Yes, when the bubbling effect is done, rinse the face thoroughly with warm water and apply the Nourishing C-Cream with natural Collagen by Ellarium after using. 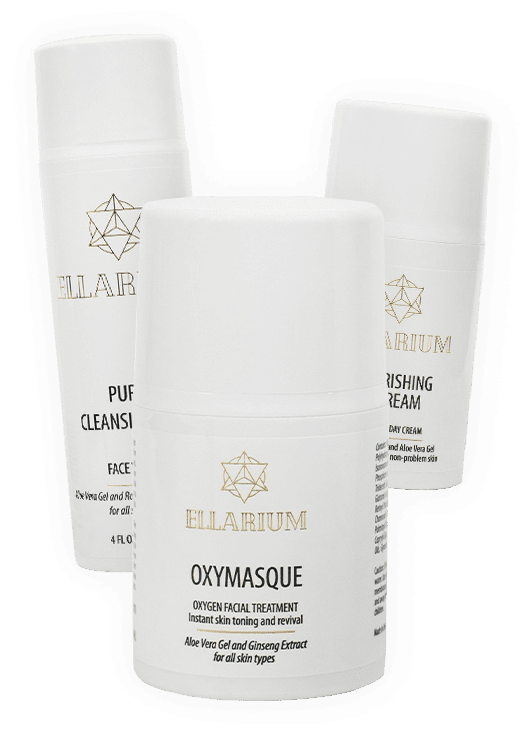 What is the Oxymasque by Ellarium made of? The Oxymasque by Ellarium is formulated with important vitamins and minerals. Special Ginseng Extract Active complex provides healing and soothing effects. Aloe Vera Gel renews and oxygenates the skin. Chamomile Extract, Corn Extract and Pumpkin Seed extract are known for their soothing and antioxidant properties. Essential Oils provide skin calming, relaxing, balancing, decongestant and normalizing effects. The unique formula of the Ellarium products provides your skin amino acids, peptides and antioxidants. Is the Oxymasque by Ellarium safe for all skin types and ages? Yes. The Oxymasque by Ellarium is safe for all skin types and anyone who is looking to hydrate, revive and calm their skin. Ellarium skin care product line will help you to achieve best results for your skin.